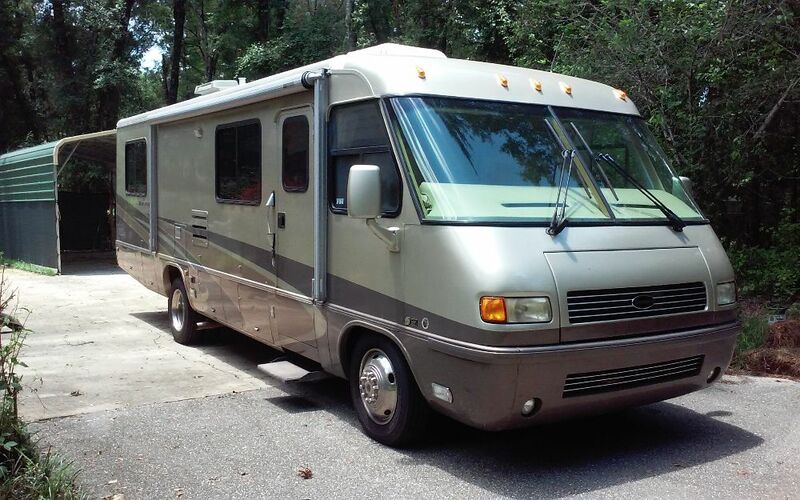 2005 – Airstream Land Yacht MH 30’/Slide, GM 8.1L gas, 30,200 documented miles, all maintenance records, New Lifetime RV ARMOR roof (July 16) All new steering, airbags, suspension, batteries(3) and New Michelin H rated tires (Feb. 17). two A/C, Onan 5.5 gen.(192 hrs. ), swivel Leather Captains and Passenger seats, auto canopy, auto levels, cruise, solar bat. charger, double door refig., full dinette, 2 new LCD TV’s and 2 new DVD’s, 6 disc. CD changer. Unit is being serviced today, 08/15/17, Engine oil and filter, Generator oil and filter, all tires checked, brakes checked, A/C checked. All systems checked out. Everything about this motorhome checked every 3 months. Pictures upon request, Email Tom; bucklake@hotmail.com, Tallahassee, Fl.